Oh me, oh my. Do doll’s prams come any more adorable than this duo from Danish toy company Moover? A classic doll’s pram that’s paradoxically modern as well, we’re in all sorts of love with this beautiful heirloom quality toy, for reasons that go beyond the cuter than cute heart carved into the curved pram canopy. Made from birch veneer, with solid timber rubber-lined wheels, it’s the toy to launch a thousand role-play adventures, with teddies and dolls in tow. Available in red or natural, the Moover dolls pram costs $149.95 from Danish by Design, which stocks a stack of other Moover brand toys too. One of our other favourites is the Moover prairie wagon, sure to fuel a thousand more adventures, both indoors and out. It comes flat-packed, but takes only minutes to put together with an ingenious snap lock system. The wagon is made from linden plywood with a steel axis for extra strength. Once built, it can handle a load of up to fifty kilos, so it’s perfectly okay for kids to take their siblings for a ride. It costs $229.95 from Danish by Design. You’ll also want to check out the new range of Moover puzzles. Hand cut and designed to challenge even the cleverest preschoolers, these puzzles – of a little girl riding a rocking horse or a boy and his truck – again demonstrate the innate beauty and craftsmanship of Scandinavian design. 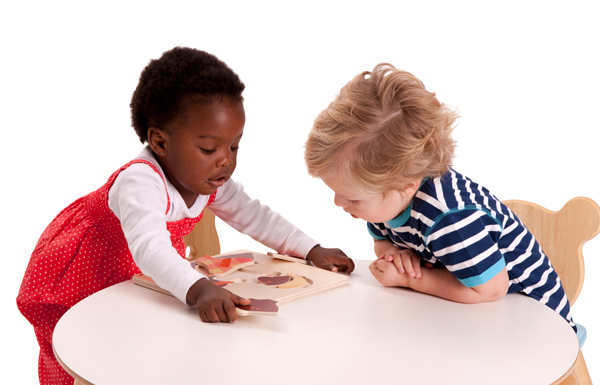 Puzzle pieces can also stand upright for extra fine motor skill training. They cost $34.95 each. 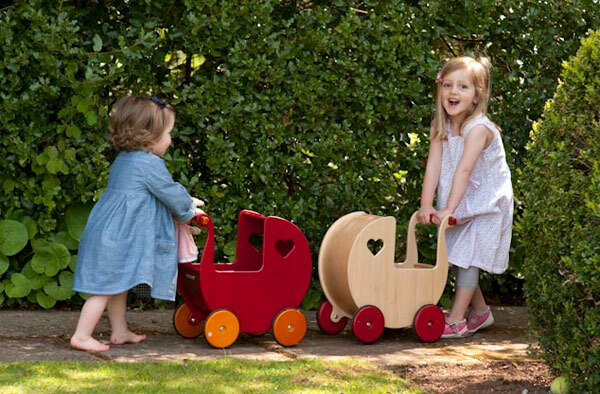 Visit Danish by Design to see their entire range of Moover wooden toys, which can be delivered right across Australia. For more beautiful Scandinavian designed products, browse our archive of previous posts.